LT Series comtrollers are microprocessor based controller.Which have been designed with high accuracy input,various output selection,useful options and good eliability at a price. LT Series use "PID+FUZZY"algorithm to implement excellent control. The output status is displayed on the built in "Bar-Graph"display. 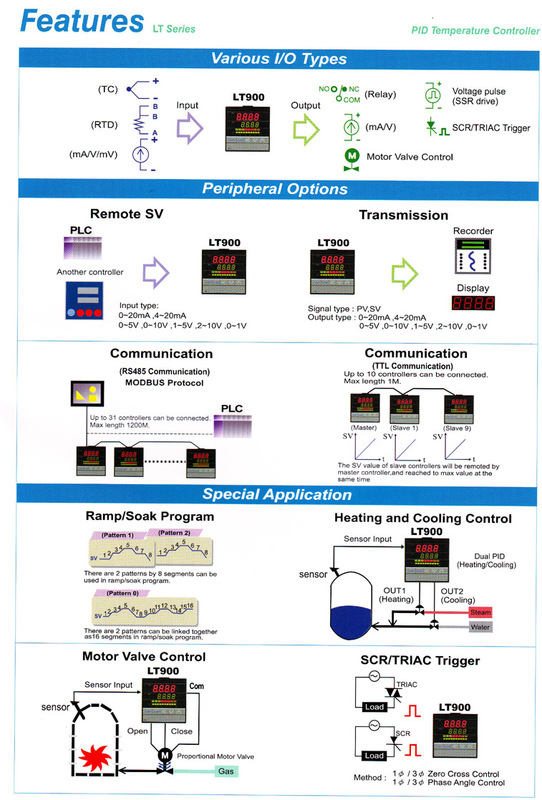 LT Series not only provide the basic control output selections but also plus advanced options such as "Motor Valve Control","SCR/TRIAC Trigger",and "Programmable RAMP/SOAK"